Dimpel doudou Cleo the cat, soft doudou and hugs of the Belgian brand Dimpel. Grote Schatten offers a wide range of soft hugs! 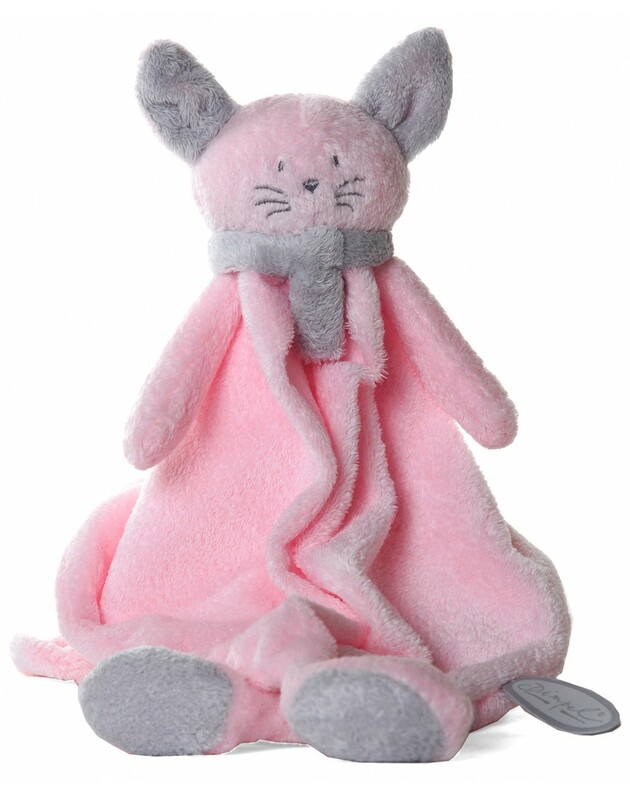 Doudou Cleo pink cat, has a scarf around the neck. LOOKING FOR A DIMPEL HUG OR CUDDLE? DIMPEL HAS SOFT CUDDLES AVAILABLE IN DIFFERENT ANIMALS INCLUDING CLEO THE CAT. DIMPEL CLEO EXISTS IN MULTIPLE COLORS! A CUDDLE DIMPEL IS THE PERFECT BIRTH DETAIL. LARGE CHOICE DIMPEL HUGS AT GROTE SCHATTEN | ONLINE WEBSTORE FOR BABY AND CHILD.